Honda Varadero Coming to America? If you live in the United States, you have probably never seen this motorcycle before. It is the Honda Varadero, and it has been around for several years in Europe. In fact, you are looking at the second-generation of the bike, which utilizes the 996cc, 90-degree Honda Super Hawk engine. It sells well in Europe, and is another example of the Sport Utility Motorcycle concept discussed in our article dated November 21, 2002. 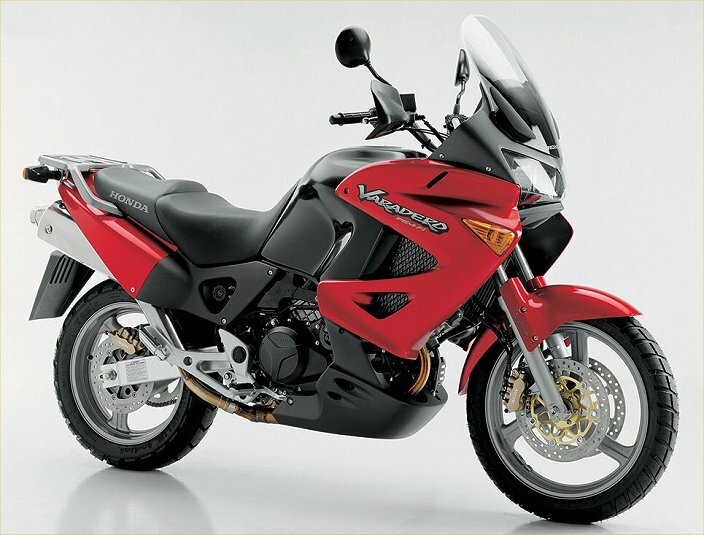 With the apparent success of Suzuki’s V-Strom, will Honda finally bring the Varadero to the United States in 2004? Our sources indicate there is a reasonably good chance it will. Indeed, the popularity of this class of motorcycle in Europe may be infecting U.S. riders.